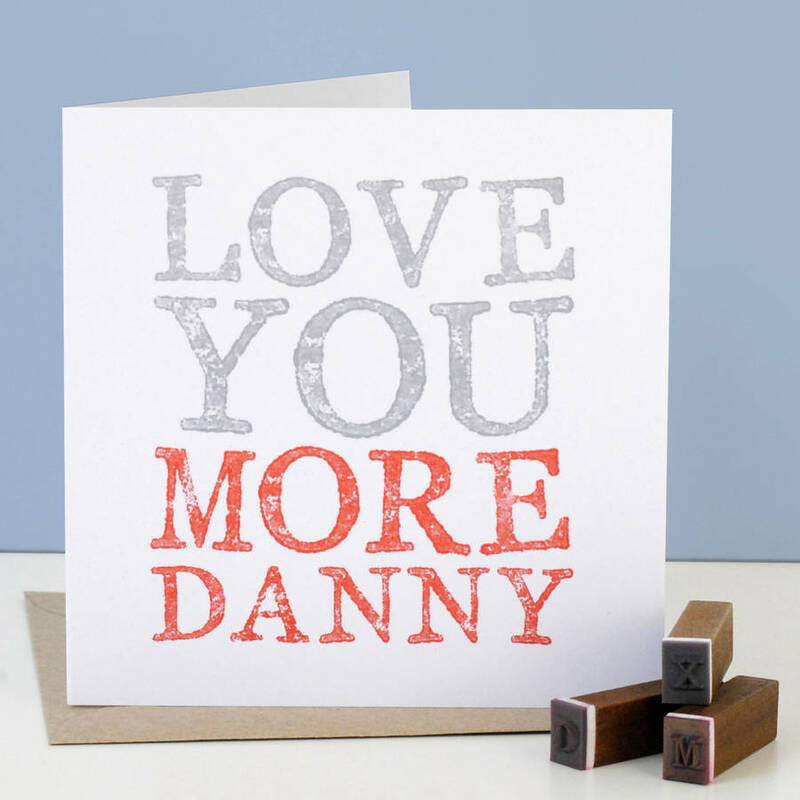 The love of your life will be in no doubt as to how much you love them with this personalised 'love you more' card. Your card will be personalised with your beloved's name so it reads 'Love You More' and their name in red. The personalised love you more card is blank inside for your own message.